Leadership in education is a well-known influencing factor in developing an effective school culture and evidence-informed education (Levin, 2010). Leadership in education is an important factor for the overall achievements of educational institutions and influences for instance the sustainable implementation of actions, teacher agency and a culture of inquiry (Coleman, 2009; Leithwood, Sun, & Pollock, 2017). Even though leadership is important, little is known about professional development of leaders in education (Leithwood, 2019). Professional development gains more attention worldwide, however little evidence exists on effective strategies for leaders’ formal and informal learning. Cloud 12 focuses on leadership in education, more particular on learning strategies for leaders with regard to learning to lead the school as a professional learning community. So practice-based studies related to the professional development of leaders are subject of the clouds’ focus. 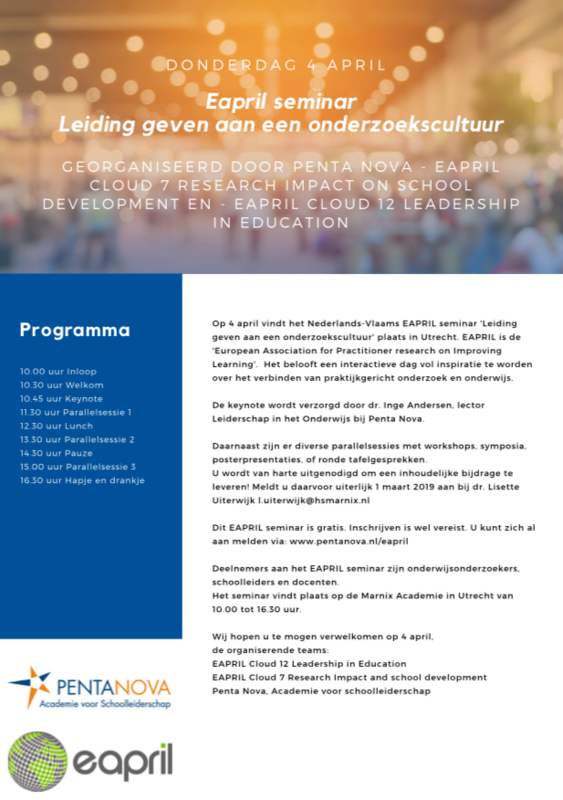 The cloud is also open to research about leadership practices contributing to teachers' learning with regard to school development, and ways in which leaders learn to develop successful leadership practices. In summary, Cloud 12 focuses on various research topics concerning leadership in education in the context of primary, secondary and vocational education. Researchers and practitioners are the most welcome to network and collaborate during cloud sessions and/or cloud activities, and of course to present their own research findings. Join this cloud via LinkedIn! Clouds 3 and 12 organized an interactive webinar at the start of summer on July 3, 2018. 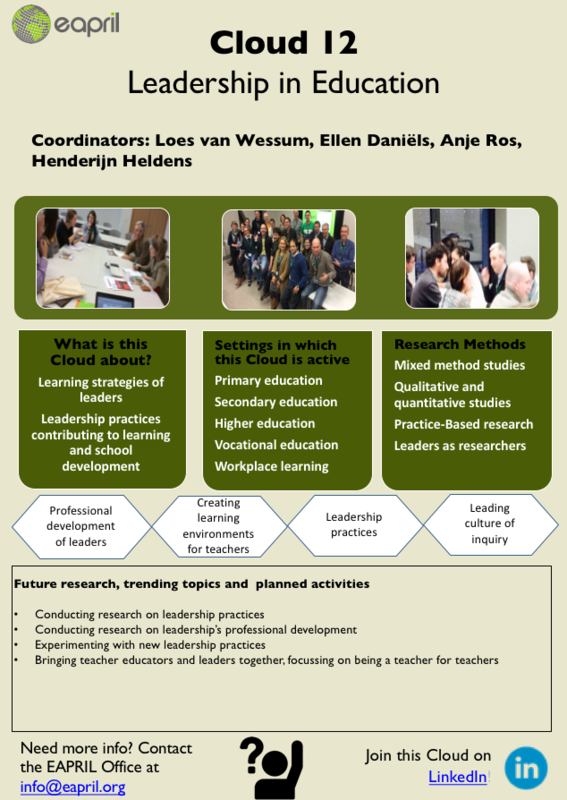 Loes Van Wessum, Marcelo Giglio and Rebecca Eliahoo presented and discussed on the topic: "How collaboration can contribute to the professional development of teachers and leaders in education."